Find places to stay in Ukiah, CA and other fun things to do. View our list of attractions, activities, events, restaurants and visitor information. Offering freebies like breakfast and Wi-Fi plus an outdoor pool the non-smoking Americas Best Value Inn Ukiah wraps up a bargain for our guests. Free Internet, Swimming Pool,Outdoor Pool, Free Breakfast, Pets Allowed, Non Smoking Rooms. Currently as low as $117.62/night! A complimentary breakfast an outdoor pool and rooms with microwaves refrigerators and free Wi-Fi make the Best Western Orchard Inn a comfortable and convenient place to base your exploration of the Mendocino Valley. Free Internet, Swimming Pool,Outdoor Pool, Pets Allowed, Non Smoking Rooms. Our guests can look forward to hot breakfast and Wi-Fi GÇö both free GÇö plus an outdoor pool and sun deck at Comfort Inn & Suites Ukiah. The two-story hotel's 63 rooms are equipped with desks microwaves refrigerators and coffeemakers. Free Internet,Outdoor Pool, Pets Allowed, Non Smoking Rooms. An outdoor pool and rooms with free Wi-Fi microwaves and mini-fridges make the Days Inn Ukiah/Gateway to Redwoods Wine Country a convenient place to unwind after a day on Mendocino's wine trail. Free Internet,Outdoor Pool, Free Breakfast, Restaurant, Pets Allowed, Non Smoking Rooms. Free Wi-Fi an outdoor pool and easy access to Highway 101 and the medical center make for a budget-friendly stay at Economy Inn Ukiah. This two-story hotel offers 40 rooms with coffeemakers and cable TV. Free Internet,Outdoor Pool. Featuring free Wi-Fi an indoor pool a business center and a well-equipped gym the non-smoking Fairfield Inn and Suites Ukiah Mendocino County is a popular choice with our guests. This non-smoking hotel has 44 rooms and 12 suites on three floors. Free Internet, Swimming Pool, Indoor Pool, Free Breakfast, Non Smoking Rooms. Free Wi-Fi and hot breakfast balconies with views and a lush courtyard with koi ponds draw our guests to the Hampton Inn Ukiah well-placed in wine country. Free Internet, Swimming Pool,Outdoor Pool, Non Smoking Rooms. 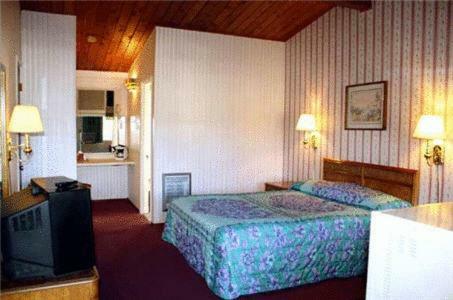 Conveniently located off Highway 101 this pet-friendly Ukiah California motel offers an outdoor seasonal pool and comfortable rooms with heat and air conditioning. Parducci Wine Estates are 10 minutes' drive away.Outdoor Pool, Pets Allowed, Non Smoking Rooms. Offering an outdoor pool four hot tubs free breakfast and rooms with free Wi-Fi microwaves and mini-fridges the Discovery Inn is a relaxing place to splash and crash. Free Internet,Outdoor Pool, Free Breakfast, Restaurant, Non Smoking Rooms. Free hot breakfast complimentary Wi-Fi and an outdoor pool bring extra value to a stay at the affordably priced Quality Inn Ukiah. The inn has two floors and 40 rooms accessible via exterior corridors. Free Internet,Outdoor Pool, Pets Allowed, Non Smoking Rooms. Freebies like breakfast plus an outdoor pool a hot tub and rooms with microwaves and mini-fridges make the Super 8 Ukiah a good value for our guests who want to save some money.Outdoor Pool, Free Breakfast, Pets Allowed, Non Smoking Rooms. Cozy rooms with microwaves and refrigerators a convenient location and complimentary shuttle service make Travelodge Ukiah a favorite of our guests looking for a comfortable place to relax near Highway 101. Free Internet,Outdoor Pool, Free Breakfast, Pets Allowed.